In the April 2015 issue of the Journal of Film Preservation, Jim Castellan has described his extensive research on Wilbur H. Durborough's remarkable First World War documentary On the Firing Line with the Germans. Starting from scratch, nearly all film segments of this historical movie have now been located and identified from various film sources both at the National Archives and the Library of Congress. As a result, this historical feature documentary allows us to revisit the Great War, as seen through the lense of an American war correspondent who was a close witness of the German offensive on the Eastern Front in the summer of 1915. The Library of Congress has started a reconstruction of the Durborough film, with an intended completion in October 2015, one hundred years after it was first shown in the United States. We will ofcourse keep you posted on this interesting project! Jim's article for the Journal of Film Preservation can be read and downloaded here. From the collection of the National Archives in Washington, DC, an impressive selection of World War I pictures has been uploaded on the Internet. These all show the work done by the Photographic Division of the U.S. Army Signal Corps, which was assigned to record the First World War in 1917-1918. 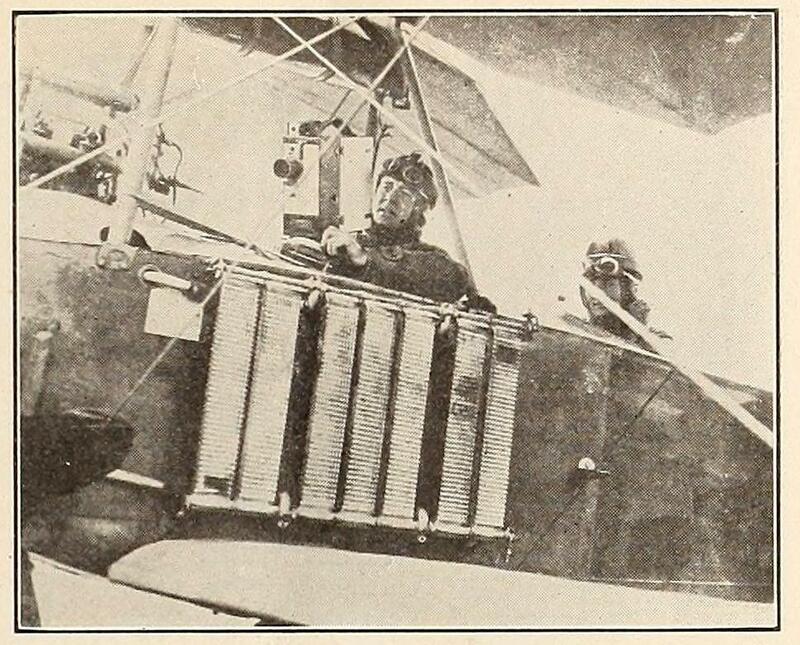 Some of these pictures have been used in our latest book American Cinematographers in the Great War to accompany a chapter on these official cameramen from the U.S.A. Among these pictures are also many interesting photographs showing the Signal Corps cameramen behind their photo and film equipment, such as Lieutenant Lyons of the 79the Division getting ready to make aerial moving pictures above the frontline, reproduced above. The weblog also has the last pictures taken by Lieutenant Estep, recorded by his camera shortly before he was killed in November 1918 on the Western Front. To view these Signal Corps cameramen in action, here is the link. At the International Conference of IAMHIST in Bloomington, Jim Castellan presented his extensive research on Wilbur H. Durborough's 1915 WWI feature documentary film On the Firing Line with the Germans that is now being restored by the Library of Congress. Since Jim started his research on Durborough in 2001 new online surrogate sources became available to help reconstruct the story of the making of this fascinating American World War I film. Jim's presentation can be found online on our YouTube channel. On June 19, at the conference of the International Association for Media and History (IAMHIST), Cooper Graham explained about the way new, online sources were used to research Donald C. Thompson, a World War I cameraman from Kansas, with a mystifying ancestry. Check out the pictures presented by Cooper during this conference on our YouTube channel. Also, here is his story on Donald C. Thompson. 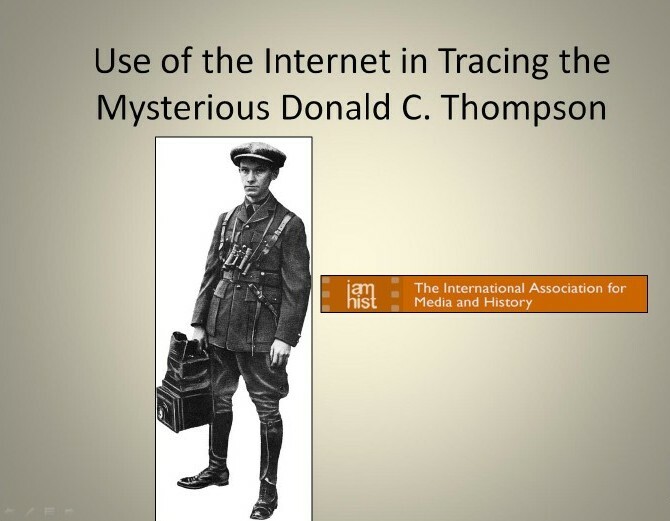 On June 19, Cooper Graham and Jim Castellan attended the conference of the International Association for Media and History (IAMHIST) in Bloomington, Indiana, and presented their latest research work on the American film correspondents of the First World War. 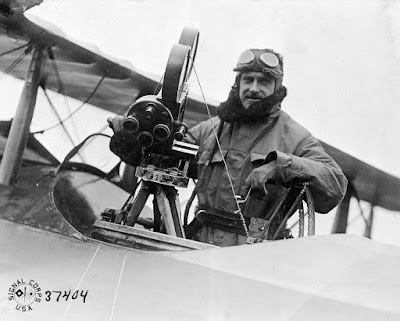 Ron van Dopperen couldn't make it to the United States but went online and prepared a video presentation on Albert K. Dawson (1885-1967) from Vincennes, Indiana, and his remarkable life and work as a camera correspondent during World War I. As a brief introduction, here is a presentation paper for the IAMHIST Conference. The presentation by Ron on Albert Dawson has also been uploaded on our YouTube channel. 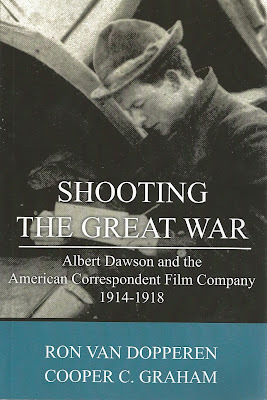 For more information read our book Shooting the Great War: Albert Dawson and the American Correspondent Film Company, 1914-1918, available on Amazon. 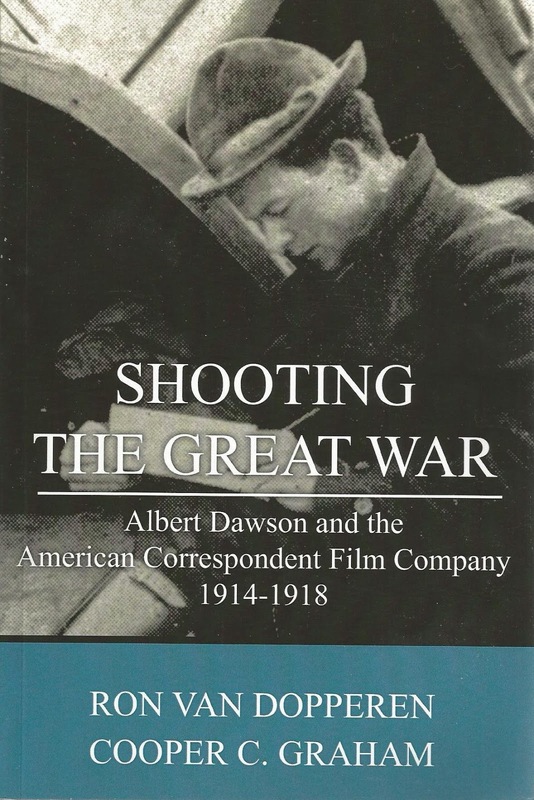 In the latest issue of the Historical Journal of Film, Radio and Television Isabelle Freda (Hofstra University) published a review of our book Shooting the Great War: Albert Dawson and the American Correspondent Film Company, 1914-1918. In her review Mrs. Freda qualified the book as an excellent example of the strategy to focus on individual cameramen and their significance for film history. The review can be downloaded by clicking here on this link.